Hello! I am contacting you today to share a very pleasant experience, actually experiences, I have had at one of your stores. I have been to your Fairview Park location twice in the last few days for our puppy, Khloe. At first, we were coming to your stores because it was the only pet store that carried Diamond food. 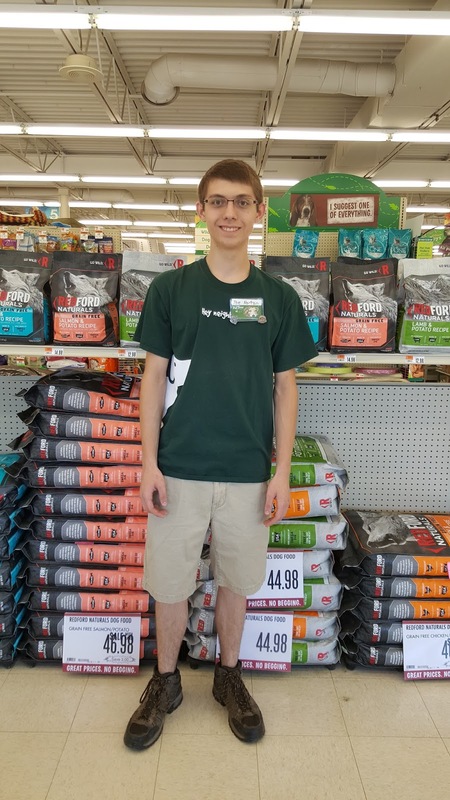 But today my visit to your store was to change our food, even with this, I will continue my shopping at Pet Supplies Plus. Today and last Friday, I was assisted by a young man named Joe. He is by far the most helpful and knowledgeable person I have ever run across in a pet store. He was so kind and attentive to what my concerns were. He had a lot of great suggestions and wanted to make sure I was getting the best option for my puppy. Today, as he was showing me to the collars, while holding my cans of pumpkin, he briefly stopped to assist an older woman put a box of litter into her cart. He then quickly grabbed the cans and apologized to me for stopping, obviously I explained that wasn't necessary. I want to thank you for training and hiring, Joe, he is a great asset to your team! Have a good day! So Proud to have you on our Team Joe! Keep up the great service to our neighbors.